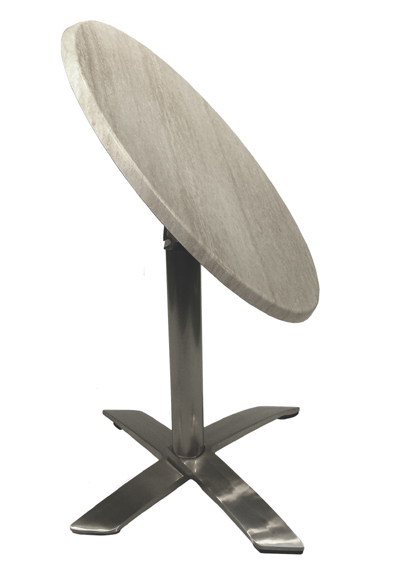 Amanda is a new stainless steel base line complete with matching nesting flip base.Constructed in sturdy 201 stainless steel, it is ideal for places where corrosion is a problem. 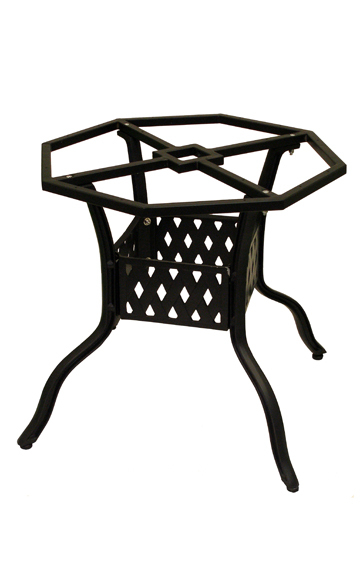 Andalusia bases are heavy-weight cast aluminum, powder coated in black or an imitation rattan finish. 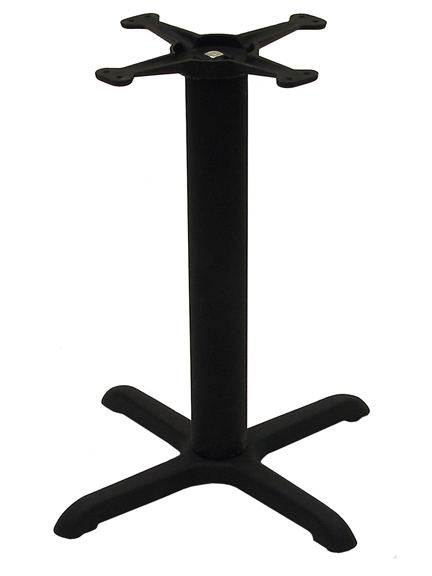 Available in a wide variety of sizes to accommodate most table top sizes, Andalusia feature adjustable glides and plastic hubs. A special ADA-compliant base is also offered. 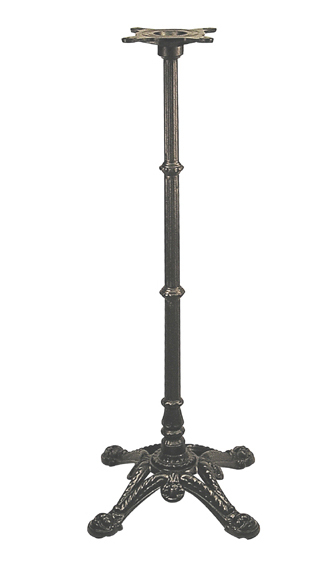 Ashley is a cast iron base with a steel column and spun steel housing that can be finished in a variety of colors. Typically Ashley is furnished with a larger spider than shown in the photograph. Aspen is the best flip-top nesting base. 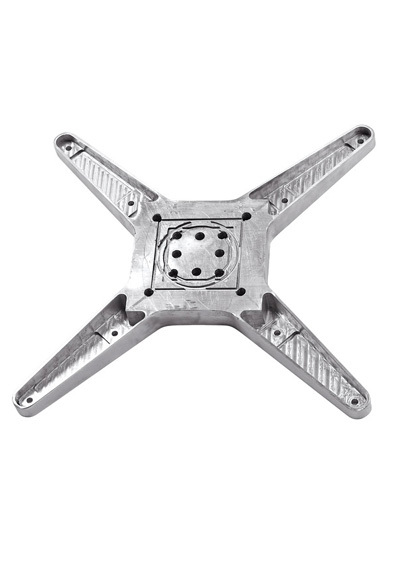 This American Trading Company exclusive has a cast aluminum base plate for long life exterior use. Aspen is available in clear coat brushed finish or pepper powder coat. 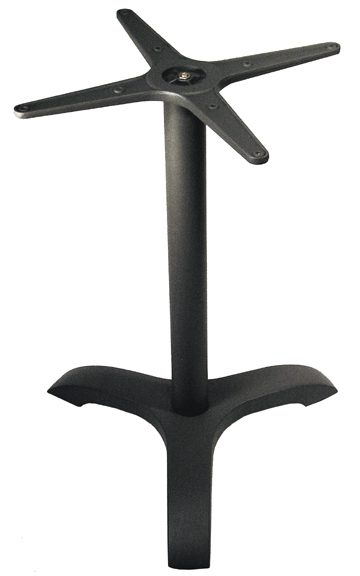 B-Series bases are the industry "generic" base, manufactured in cast-iron with a steel column. 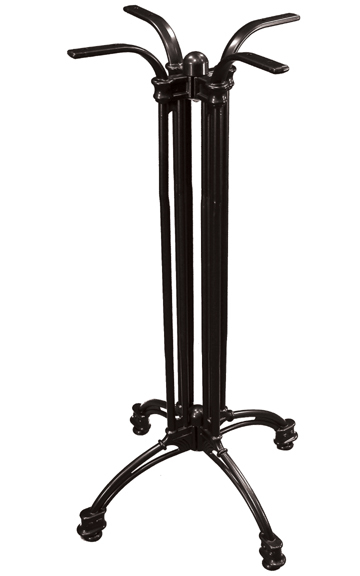 They are available in a variety of sizes with black wrinkle powder coat, plated chrome, or a variety of powder coated finishes. 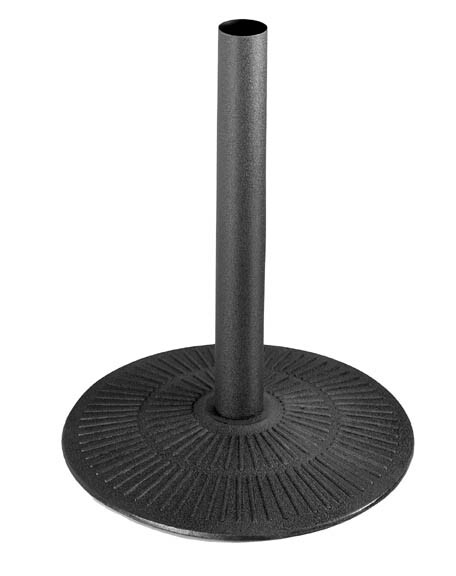 Bistro bases are classic styled heavy-weight cast iron with a special cataphorized finish to provide a corrosion resistant base for the powder coated black paint. 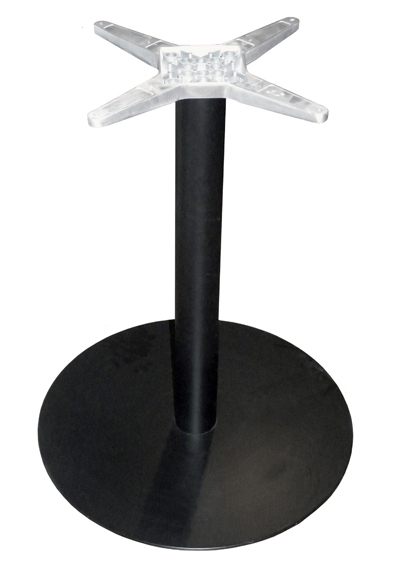 Bistro bases from ATC have a dual bolt construction to prevent turning of the top once installed. Glides are installed in brass ferrules to maintain adjustability. 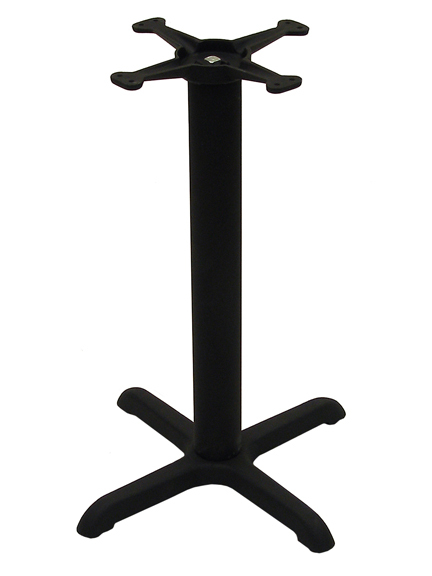 C-Series bases are cast iron bases with steel columns. Black wrinkle finish is applied direct to the casting, while a spun steel housing that can be chrome plated or finished in a variety of colors is used for other finishes. 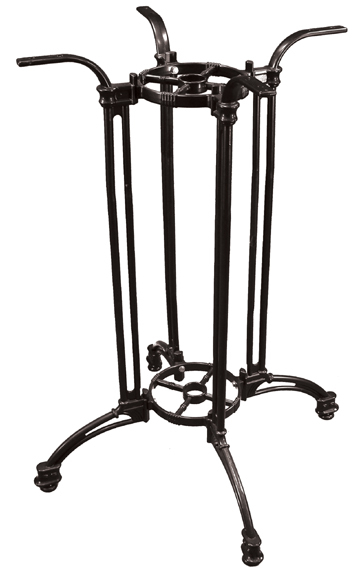 Cooper is a cast iron base with a steel column and spun steel housing that can be finished in a variety of colors. Typically Cooper is furnished with a larger spider than shown in the photograph. 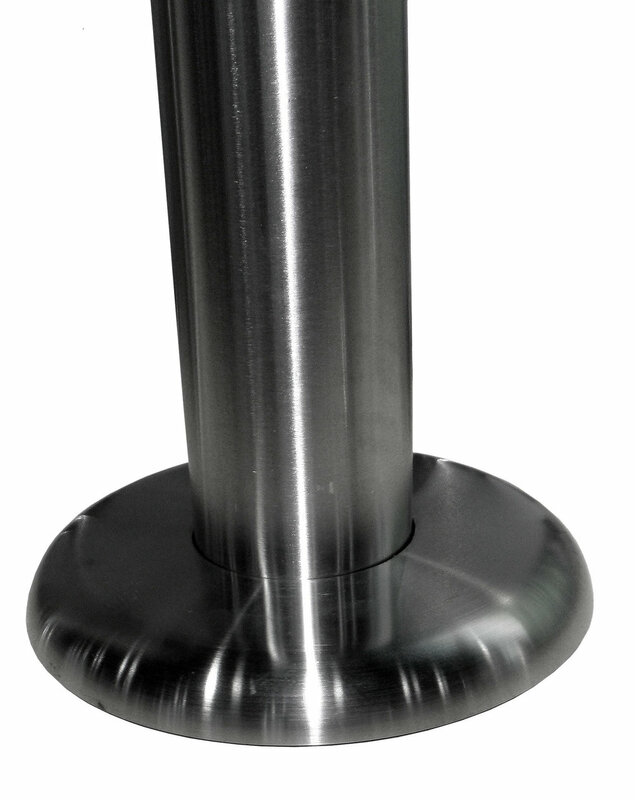 Econox™ bases are polished type 304 stainless steel cladding affixed to a plastic protected powder coated iron casting. Columns and spyders are aluminum. Glides are adjustable. 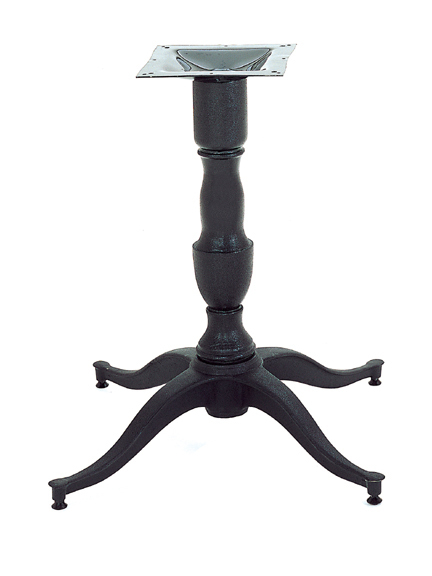 Elgin bases are cast iron bases with steel columns. 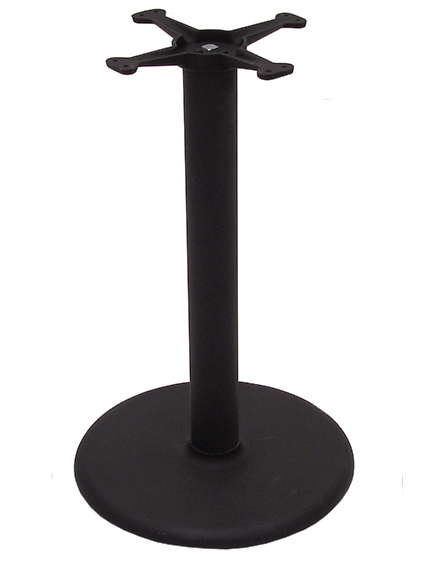 Black wrinkle finish or other powder coat colors are applied direct to the casting. *Shown with optional umbrella support; also available without umbrella provision. 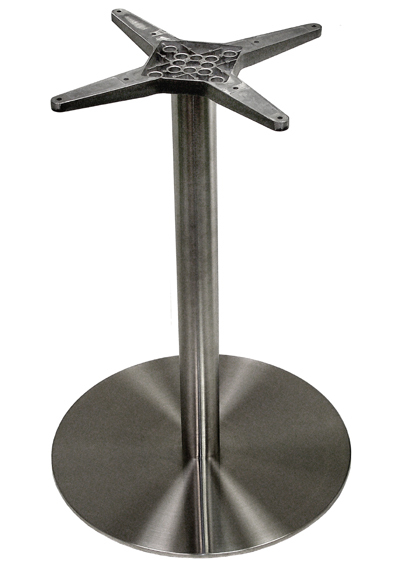 Futura bases are brushed type 201 stainless steel cladding affixed to a powder-coated steel plate. 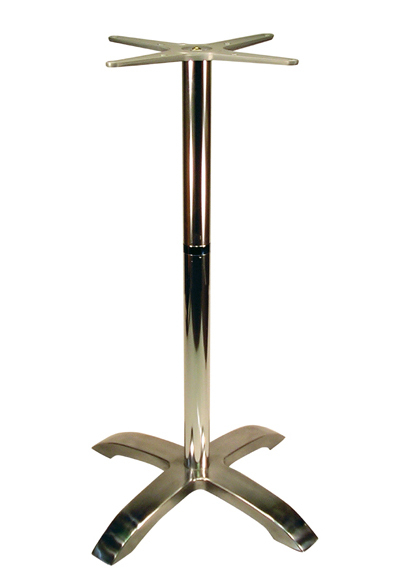 Stainless Steel columns with aluminum or steel spiders and adjustable glides. 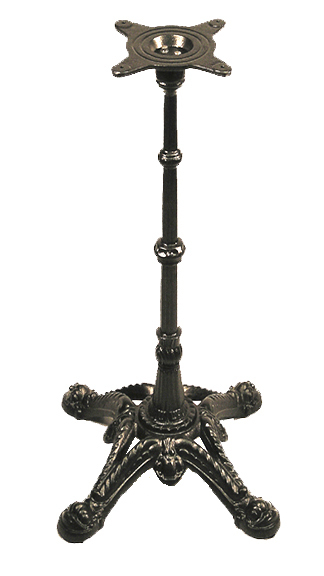 Jennifer bases are heavy-weight cast aluminum, with added cast iron weights for additional stability in use. 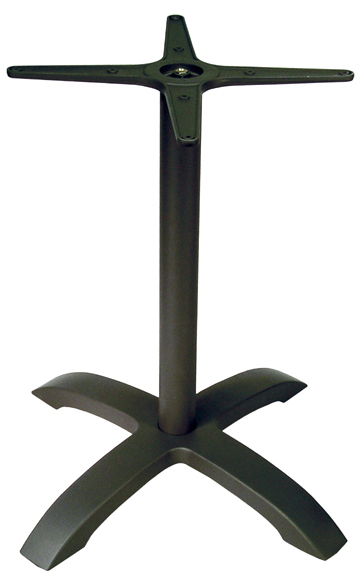 Available in clear coat protected polished aluminum or pepper color powder coat. 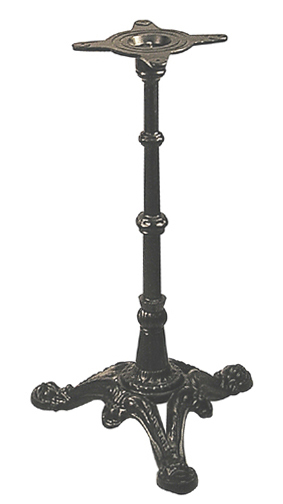 Litchfield bases are cast iron bases with cast iron columns. 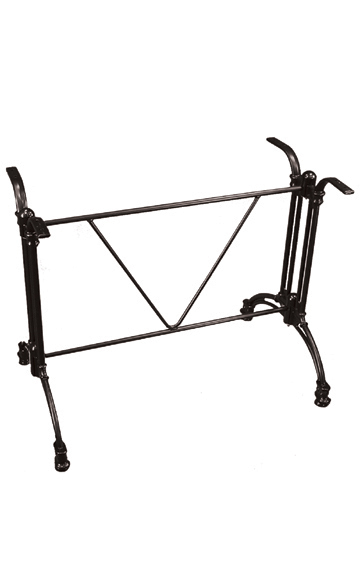 Black wrinkle finish or other powder coat colors are applied direct to the casting. Rainbow is our newest flip base. 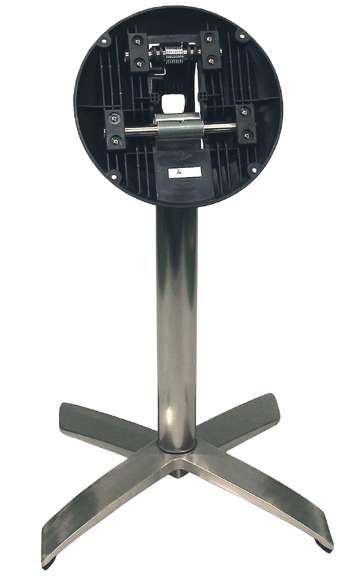 Made of anodized extruded aluminum, it will never rust or corrode making it ideal for waterfront locations. 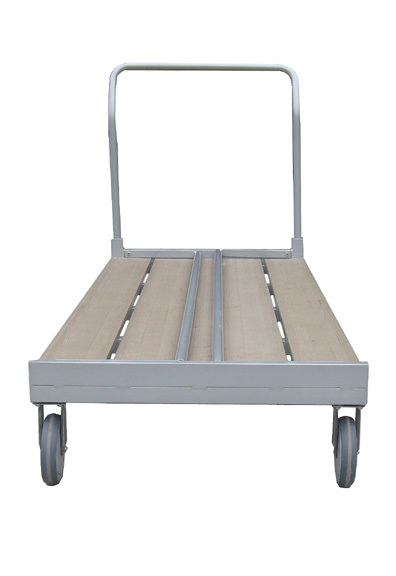 It nests like the Amanda and Aspen and can use the same cart. 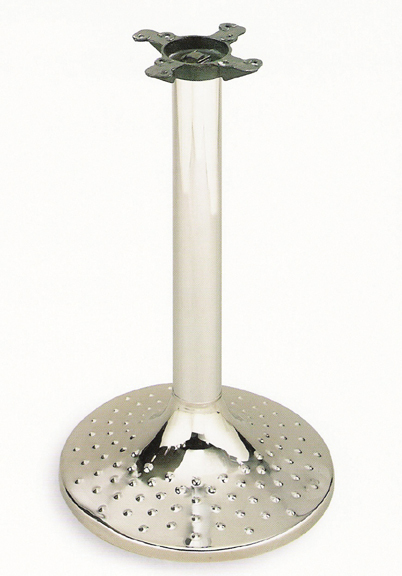 It is also available in Bar Height. 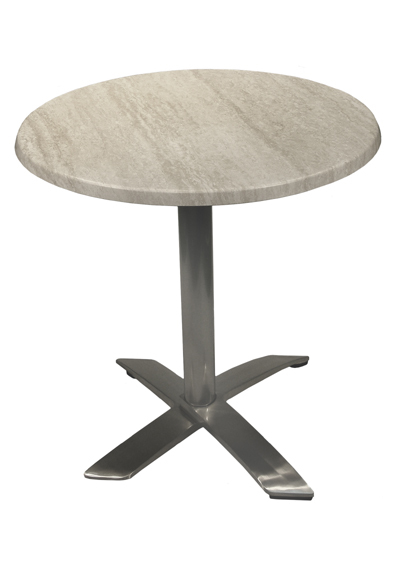 Stone Bases are heavyweight cast aluminum for heavy and large tables. Stone bases are available in small, medium, and large Sizes, plus rectangle. 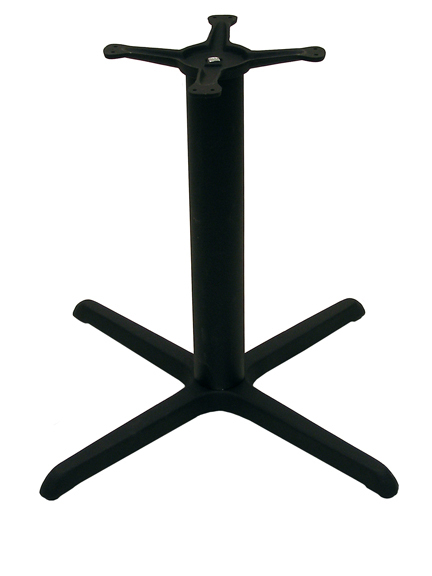 Ideal for Atcostone and Granite tables.